A common question among home and business owners is 'how can I get rid of mice?' 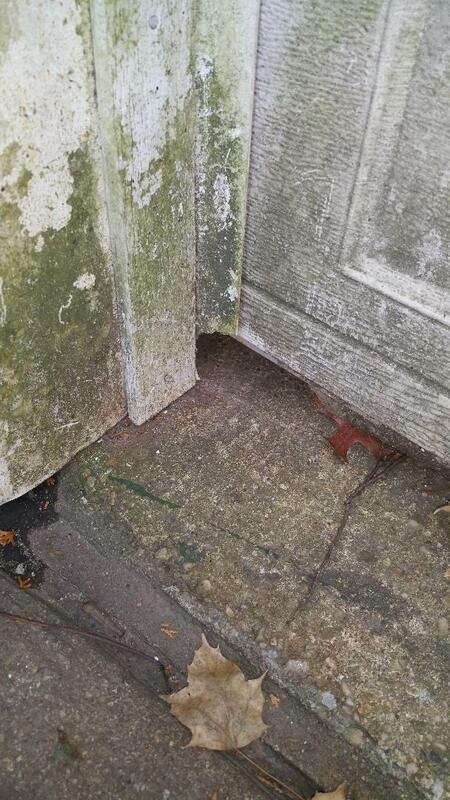 It's a common question because mice infestation is on the rise, not only in inner cities, but also in suburban areas. 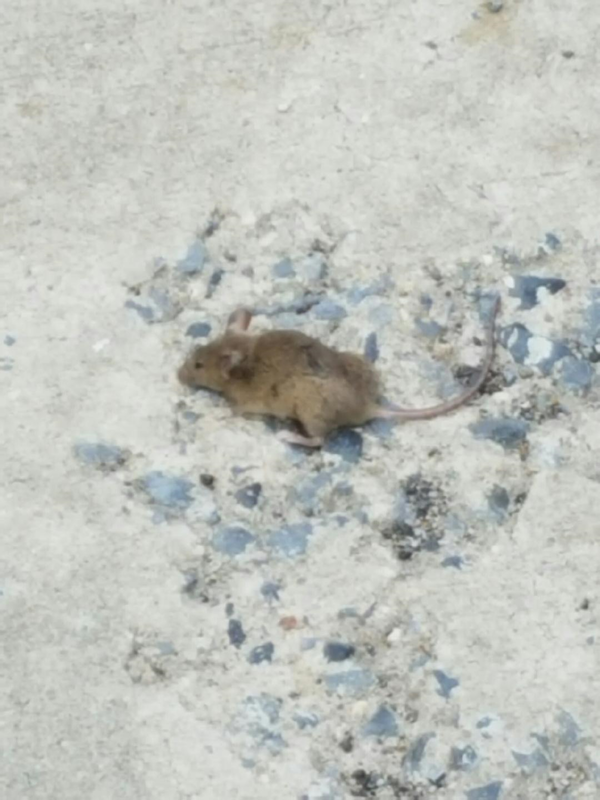 Besides houses rodents are found just about everywhere, such as schools, restaurants, deli's, nursing homes, movie theaters, warehouses, subways as well as open fields just to name a few. With a number of factors involved, it appears this problem will only get worse. In addition to being a nuisance by suddenly running across a room and hearing them in walls and ceilings, house mice can damage/destroy building materials like drywall because of their need to gnaw and their ability to make nests in wall cavities. They pose a fire hazard as well because they often chew electrical wires. Just as important, however, is the fact that house mice are carriers or vectors of disease. One way they transmit diseases and food poisoning like Salmonella and tapeworms, is by contaminating stored food via droppings and urine. Research shows that mice defecate wherever they travel, but mostly where they feed and up to 50 times a day! It's important to find where activity is happening within a structure. Do an inspection, look behind appliances such as your free standing stove. If possible pull out the refrigerator from the wall. Look under kitchen sinks where plumbing is introduced through the floor or wall. These are areas where you will likely find evidence of an infestation in the form of droppings, gnawed holes or both at the bottom of the walls or floors. It makes sense to look in these areas because mice will find food around them, plus like roaches they like the warmth that refrigerator motors give off. These areas are also dark and undisturbed which is ideal for their survival. 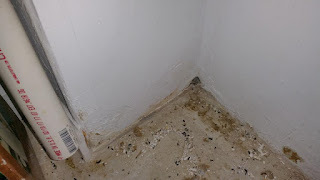 When activity is found, such as shown in the picture above, sealing holes tightly with steel wool or repairing the walls with metal plates and Joint Compound found at the local hardware store will help reduce the mice route of travel and harbor-age. 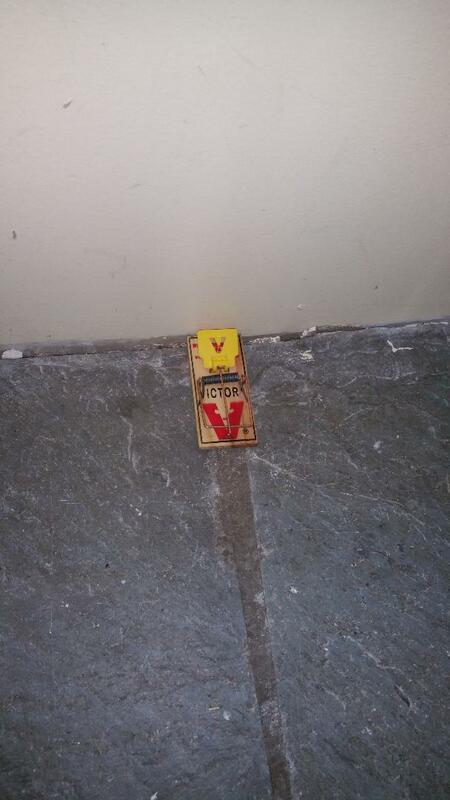 The use of snap traps is very helpful in quickly eliminating an infestation and is considered a humane way of killing mice, however proper placement of snap traps is critical for success. 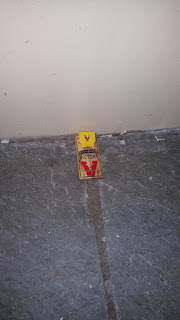 Placing a small amount of bait such as peanut butter, cheese, chocolate,or bacon securely to the trap with the trigger facing the wall, as shown in the picture to the right will produce results because mice mostly travel along the perimeter of walls. Use as many snap traps as needed, but placement should be on, or about 4 to six feet apart. Glue boards are also useful. Like snap traps glue boards should be baited with a small amount of bait placed in the center. Remember mice are nibblers and don't require large amounts of food. Finally keeping all areas of the interior clean, free of clutter and food properly stored away, such as in plastic containers will increase the chances of mice being attracted to the bait on the snap and glue traps. Mice treatment, when done properly, will make your home or business comfortable and safe.